We appreciate your repeat business, so tell a friend, neighbor, or family member about us today and ask about our referral discounts. We aim to build a long-term relationship with all of the customers we come in contact with. Refrigerator repair in Portland OR can be available to you as soon as possible. Come see what we have to offer today, if you would be a new customer. Set your mind at ease by knowing that our first objective is to make your day that much better. Our technicians work for you to help alleviate any stress surrounding having a major household appliance experiencing issues. So pick up the phone today to schedule the next available appointment in Portland OR. 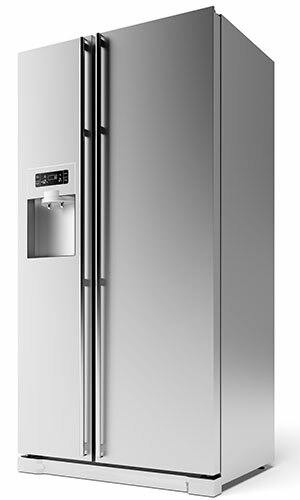 Many energy efficiency tips for your refrigerator are focused around making sure that it’s always full. In fact, some tips go as far as suggesting that you put water bottles or water-filled containers in the empty areas of your refrigerator. While these steps can effectively cut back energy consumption, they can also be problematic if done incorrectly. Make sure that, no matter how full your refrigerator gets, air is properly circulating. Otherwise, energy efficiency may not be as ideal as you think and the food may end up storing at an uneven temperature.